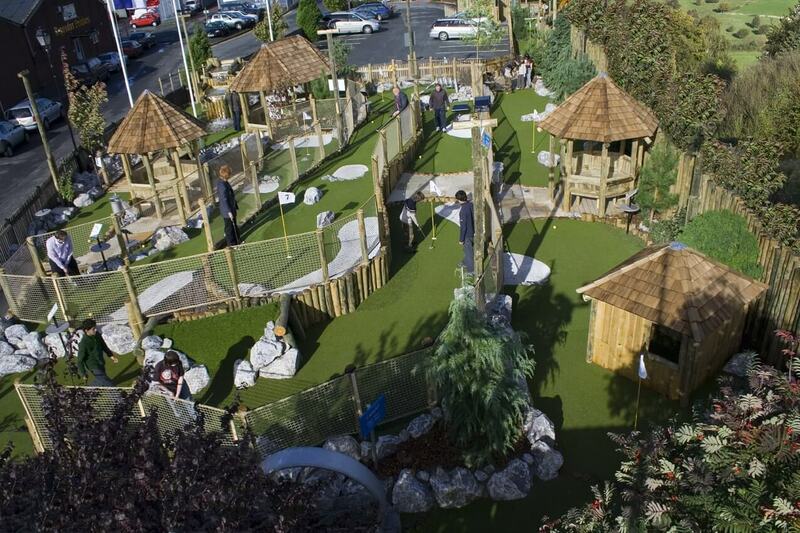 The course is fun for the whole family to enjoy and it is designed so that all ages and abilities can play. The golf course is seasonal and subject to weather conditions. You can play from 11 am until dusk. Feel free to give us a call to check availability. The course features a number of obstacles to defeat as you putt your way around. Loop the loop on hole four, conquer the corkscrew on hole six and can you tackle our trickiest shot, the hole-in-one challenge of hole nine? For those that are competitive you will find that the layout proves to be a good test of putting skill – so why not challenge your friends to a round! 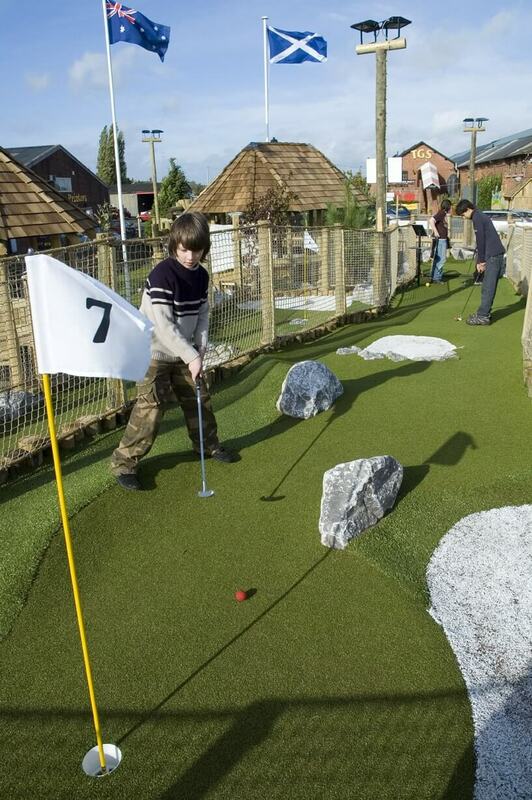 Our twelve-hole Adventure Golf course is fun for everyone. You don't need to be a pro-golfer to enjoy a round.